The fall brings cooler temperatures to Las Vegas and the possibility of rain throughout November, but it's still considerably warmer in this Nevada desert town than most other places in the United States. If you're visiting the city this month, there are also plenty of things to do to keep you entertained—from catching a Las Vegas Golden Knights hockey game at the T-Mobile Arena to watching a show on the Las Vegas Strip. Keep in mind when visiting in November that night and day temperatures also fluctuate considerably: While the days may still be warm, it can get downright cold at night. Fortunately, though, most of your time in Vegas will be spent indoors at one of the area's many hotels, resorts, casinos, theaters, or other entertainment attractions—unless you're mountain biking in Red Rock Canyon or heading off on a day trip to the Grand Canyon. By November 1, cooler weather has already settled across the Las Vegas region, though temperatures here might be considerably warmer here than where you arrived from. Less than half an inch of rain falls over the course of four to six days each year, most of which comes in light, scattered showers that don't affect travel—though you may want to bring an umbrella just in case. Aside from some occasional strong winds and the chance of rain, though, November weather is usually relatively temperate in Las Vegas. 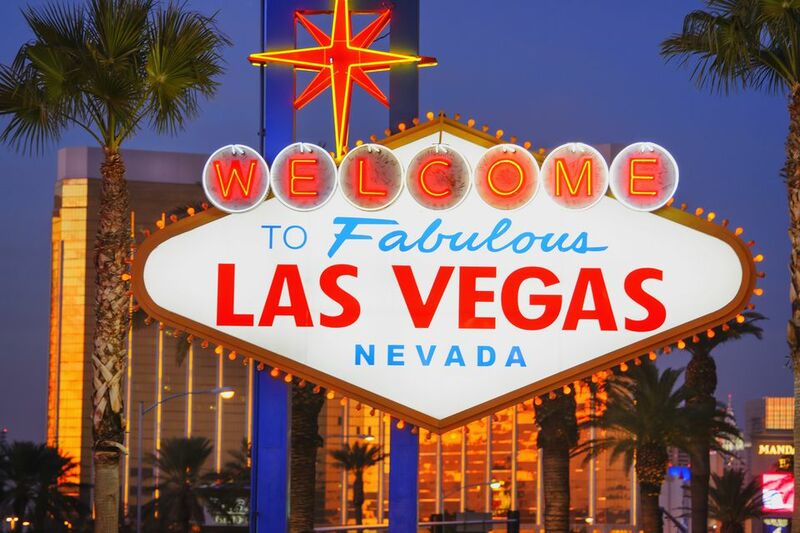 Since the weather has cooled down significantly, especially overnight, but the temperatures inside Las Vegas attractions remain the same year-round, you'll need to pack for your trip based on what you want to do. For instance, football fans may need to bring an extra blanket for the stands, and pool enthusiasts should leave their swimming trunks at home unless their hotel has a heated indoor pool. Otherwise, anyone visiting this month should pack clothing they can layer, pants, a sweater or pullover for the nighttime chill, and an umbrella in case it rains. Inspirada Thanksgiving Farmer's Market: This annual event takes place the second week of November each year at Solista Park in Henderson and features a Thanksgiving feast cooking demonstration by a locally-renowned chef as well as a traditional row of vendors selling local produce and goods. Professional Bull Riders (PBR) World Finals: In early November, the T-Mobile Arena hosts this annual bull riding championship, and there will be plenty of concerts, parties, and celebrations at venues around the city affiliated with the finals. Golden Knights Hockey: Vegas' professional National Hockey League (NHL) team typically plays several home games at the T-Mobile Arena in November. Dia de Muertos: Celebrate Latin American traditions over the first weekend of November at Springs Preserve, where you can view hundreds of altars created by locals commemorating deceased family members. Comedy World Network International Film Festival: This annual film festival celebrates the work of the past year with screenings at the Eclipse Theatres. It's usually held at the end of November. Turkey Trot: This Thanksgiving tradition, sponsored by BBSC Running Events, takes place from Six Tunnels to the Hoover Dam on Thanksgiving morning. Concerts and Shows: With dozens of venues and headliners to choose from, there's no shortage of entertainment available on the Las Vegas Strip. Performers including Fleetwood Mac, Metallica, Celine Dion, Jim Gaffigan, Cher, and Boyz II Men show off their talents in Vegas regularly. The weather in Las Vegas may feel colder or warmer than you're used to for this time of year, depending on where you live. Visitors from California find it colder, those from the East Coast find it warmer, while people from the northern United States compare it to a tropical vacation. Aside from the week of Thanksgiving, ticket prices for flights and rooms at Las Vegas hotels are slightly lower than average in November due to a lower number of visitors coming to the city this time of year. Book your reservations early and be on the lookout for package deals meant to entice new customers—these are often used by hotels that aren't getting enough customers during the shoulder season of tourism. If you're visiting during Thanksgiving, prices will likely increase, and you'll find a harder time booking rooms and making reservations. However, there are several restaurants in Las Vegas that will be open and serving holiday feasts.